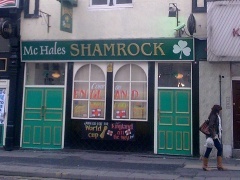 McHale's Shamrock Bar, Liverpool, L1 1JQ. McHale's Shamrock Bar pub review, map and rating. Do you know this pub? Then why not update the facilities! Looking for a Hotel near McHale's Shamrock Bar?